Smartphones have become a very important part of our daily lives and these days we can barely spend an hour without using our smartphones. This is because they perform many functions that makes life easy for us. Smartphones are a smart way to connect with family and friends via its voice and video calling features. It also posseses a highly optimized internet browser, high quality games, media player compatible with almost every media format, GPS navigation, camera and many others. Smartphones can also support a whole lot of third party apps, including social media apps like Facebook, Twitter, WhatsApp and a host of others which allows us to perform those tasks we were able to perform only with the computer back then. The multitasking ability of a smartphone is another reason for its world wide acceptance. These days, smartphones are embedded with a lot of eye catching features which has made it difficult to ignore. Smartphones have the ability to send and receive e- mails, edit office documents, high speed internet browsing, anti-theft, water resistance, higher RAM and ROM, more colorful display, very high resolution camera and lots more. Due to the wonderful features and services available for use in our smartphones, we spend a good part of each day using these gadgets. Some heavy phone users spend as much as 15 to 18 hours of the day using these phones to perform various tasks. An average smartphone with a good battery can give the owner 5-8 hours under heavy usage. While light usage can give 15 to 18 hours battery life. These days, high end smartphones with battery life that can last survive nothing less than 48 hours of light usage are currently in the market. This technological improvements in smartphones battery life is due to the fact that a phones battery is arguably the most important component of the phone. A device with a bad battery or poor battery life can cause a lot of pain and frustration for the user, especially in a country like ours where electricity is not stable. There are many reasons why a battery’s performance begins to decline. But the good thing is that a battery doesn’t just shut down without giving the owner a sign or two. It is important to take note of these signs. To help you with this, I will be putting up a list of signs to watch out for in smartphones. These signs can be an indicator that your device needs a new battery. This is one very common symptom of a bad smartphone phone battery. This occurs both when the phone is in use or not. Its even more frustrating when the phone is in use, every work done is lost, you just have to start over again. But now that you know the reason why your phone trips off often, I’ll advise you go get a new battery to avoid the serious frustration that comes with such problems. Although there are other reasons why a smartphon may trip off often, for instance, an ageing device may trip off often, a phone that has undergone severe physical stress might trip off often, but a bad battery is usually the most likely reason. It can be very frustrating when you take 3 hours to charge a phone and the phone’s charge doesn’t last 2 hours. There couldn’t be any other culprit aside the phone’s battery. An aging battery, a fake battery or a damaged battery usually don’t hold charge for long, they reach full charge quickly and also get drained quickly. This can be very frustrating for the owner. In this case, it is most advisable to replace the battery. Another sign a bad battery gives off is that it doesn’t reflect an increase on the screen’s battery bar no matter how long you charge, sometimes it may be as extremely slow as 1% increase in 30minutes or more but when power goes off, the battery drains really fast. In this case, there are usually two main culprits, the charger or the battery. It is advisable you first try other chargers and see if there is an improvement, if none, then there is no doubt it is your battery. A replacement at this stage is non negotiable. This is also very common in smartphones with bad battery. A phone might be 80 percent before you put it off at night to go to sleep, waking up and putting it on, you discover your phone has dropped charge to as low as 18%. If this continues often, then there is no doubt you have a bad battery. Another symptom in this category is the wrong battery health status given by phones with bad battery as the system is unable to correctly process information from the battery, thus giving wrong feedbacks. You might plug a phone with 10% charge and immediately, 10% charge becomes 80%, that’s a sign of a bad battery if your phone isn’t old. Sometimes you may plug a phone and the battery health bar doesn’t significantly improve even when it should be fully charged already although sometimes the charge is still to power the phone for as long as a full charge would have done, while sometimes it doesn’t. If your phone behaves this way, this is an indicator that you need to have your battery replaced. 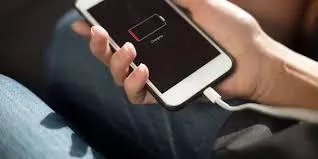 At this stage, it is so bad that your phone becomes a desktop computer, it can no longer hold charge no matter how long it is plugged, you can only use the phone when it is plugged to electricity or other indirect sources of power. It causes owners some real inconvenience as they have to go everywhere with an indirect power source to enable them use the phone. If this is the case, you need to have your smartphone’s battery replaced. Smartphone’s batteries usually don’t like getting exposed to extreme temperatures, like too much cold or too much heat. They normally won’t charge in this state and if used in this state, they might start to overheat. This can damage the battery or lead to explosion. There are other factors that can lead to battery overheating as well. So once your battery begins to emit more heat than normal, it is wise you consider a replacement. When a battery is stressed, it overheats and this can cause the internal structure to rupture. When this happens, the battery begins to swell up. Once you notice this, it is advisable to stop using the battery and replace it as soon as possible, because it can cause more damage to your device. If you experience one or more of these signs, you should consider replacing your battery. However, if this is done and there is no improvement, it is best you visit your manufacturer’s authorized repair shop to lay complaints.